Let the DIY revolution begin! I have been obsessed with clothing, dressmaking and design my entire life and have done dressmaking and art courses to fuel my creativity. 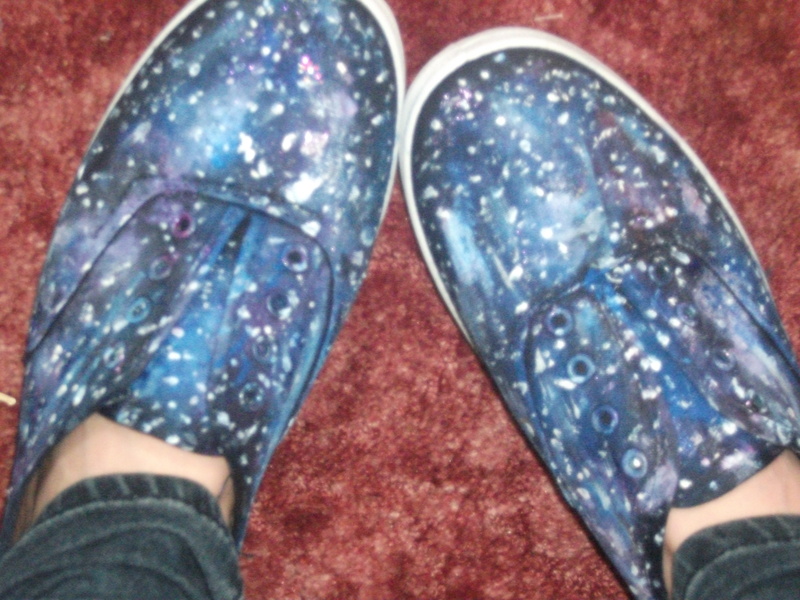 Recently due to the fact I was too broke to buy anything new I started making pieces such as studded shoes, cassette necklaces, galaxy print shoes for myself. My friends and even strangers in the street commented on them and admired them. Inspired by the interest I decided to see if my designs would appeal to a greater audience.I set up an Etsy shop and I made a few pieces for friends but I needed to reach more people. Luckily I got a great opportunity to showcase some of my designs through the awesome Custom Collective team. Custom Collective is the brainchild of Fi Bourke who is a talented Irish designer who wanted to set up a platform for designers and creative minds to showcase their customised products and give people a chance to buy a one-off product or have one of their old pieces upcycled. It’s a fantastic idea and I’m really privileged to be part of this. You can check out some of my designs and other designs on their Facebook page and I will be adding many more soon. 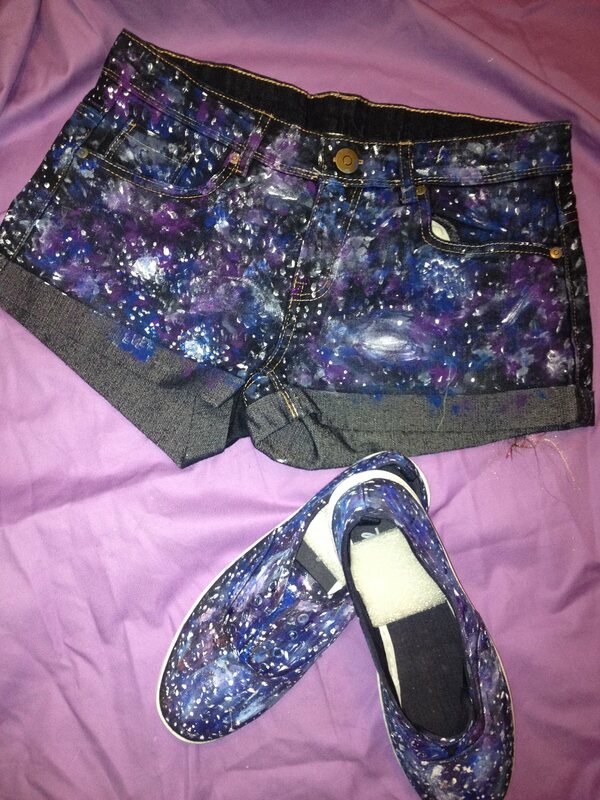 For my first visit to the guys at Custom Collective I made two of my favourite items galaxy print shoes and shorts. 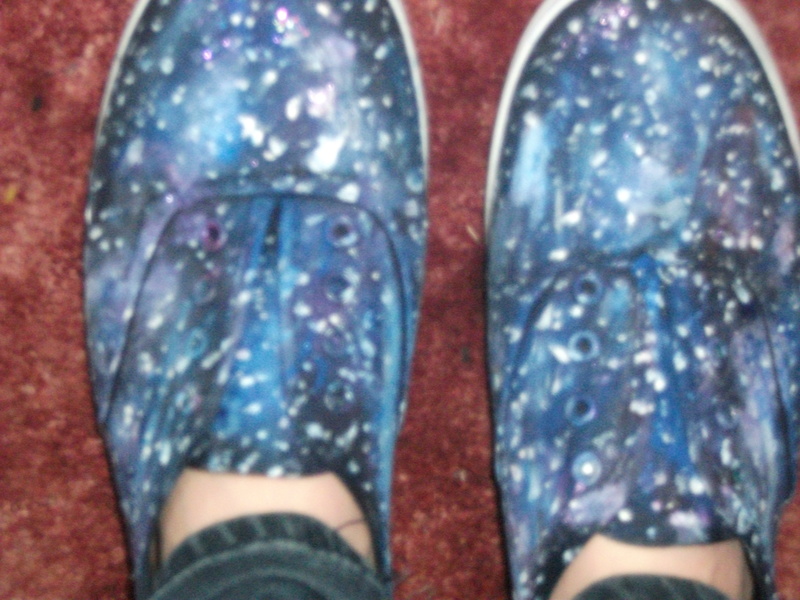 I created these with fabric paint and bleach and a lot of imagination. These are a lot of fun to make but quite messy due to the layers of paint and attention to detail required! Check them out below! If anyone is interested in tutorials in how to make these I can try making one. 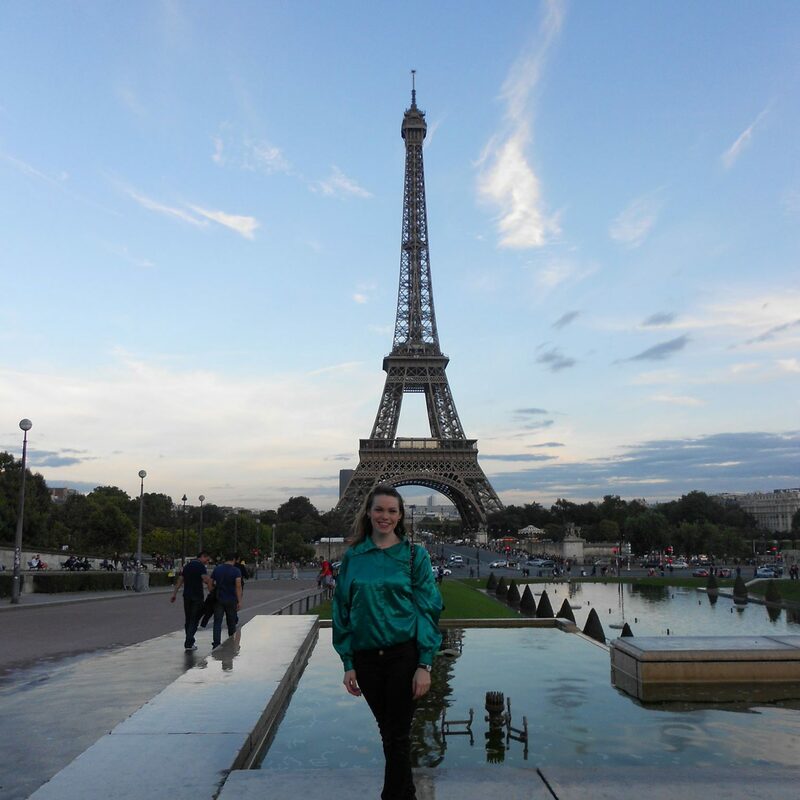 Thanks for my checking out my blog! If you guys have any ideas for designs I would LOVE to hear them!